With extensive acquaintance and understanding of this work area, we are actively occupied in providing Water Purifiers Repairing Service. Imported by competent executives, these services are broadly acclaimed and recommended in the industry for their timeliness and flexibility. We are highly engrossed in providing Water Purifier Repairing Service. These services are rendered in compliance with industrial quality guidelines using the best tools and modern technology. These services are reliable and provide utmost level of gratifications to the clients. Leveraging on our huge industry understanding and knowledge, we are providing Water Purifier Repairing Services that is broadly used for several sectors. These provided services are delivered by well-trained professionals as per set industry guidelines. Due to its perfection and promptness, this service is broadly valued by our clients. We are an eminent entity betrothed in offering an extensive collection of quality assured Water Purifier Repairing Services. Due to qualities such as timely execution, the offered services are extensively required in the market. With hard-earned understanding of trained personnel these services are obtainable at reasonable rates.We are dealing in Mumbai Only..
Our company is master in providing Water Purifier Repairing Service. 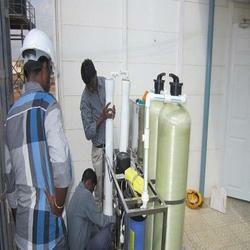 Taking quality as our prime concern, we are engaged in offering Water Purifier Repairing Services. Our offered repairing services are rendered with the aid of advanced machines in adherence to the industry set guidelines. More to this, these services cab be customized as per the demands of clients. We at Balaji services offer you excellent comprehensive & non comprehensive service contracts at your door steps. 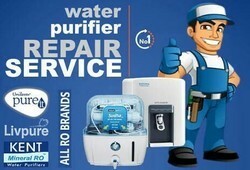 - We service and repair all brands of RO Systems / RO water purifiers UV water purfiers. - We also replace the parts if required at a very affordable rates. Double UV and UF purification for guaranteed safe water with Revitalizer for improved hydration.